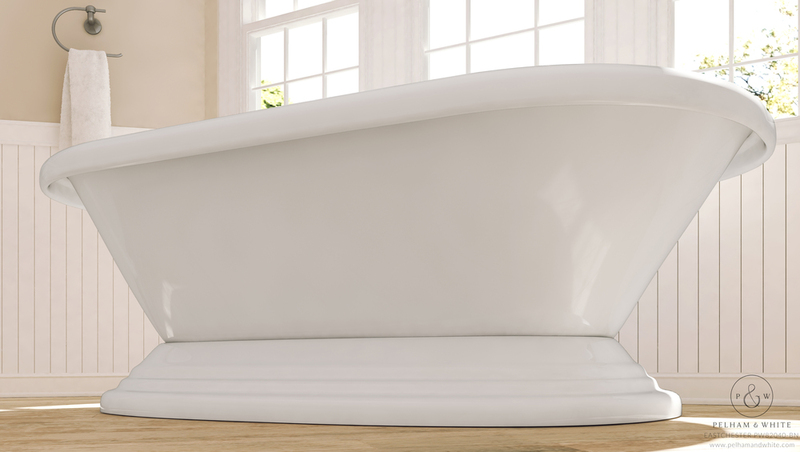 For those bathrooms with a little extra space, nothing could be more satisfying than a 6 foot bathtub, or better known as the 72 inch bathtub. Tubs of this size can easily accommodate a man or allow for a incredibly sumptuous bathing experience for an exhausted woman. At Pelham and White, our large clawfoot tubs or large pedestal tubs are designed to be the ideal soaking tubs with a deep, wide basin. After a bath in one in one of our tubs, you'll wonder how you ever survived without a big bathtub!